Using a virtual mailbox is truly one of those time-saving services that are indispensable when you’re traveling constantly on the road. It used to be when I was gone for a week to two weeks at a time I’ll come home to a large stack of mail. The mail would include birthday cards, bills, statements, you name it, and after a long tiring trip the last thing I wanted to do is go through this pile of mail. Furthermore, having a family at home, they would want to check their own mail going through the mail pile and my mail would be scattered all over the place. Sometimes it could be weeks before I see an important piece of mail. I needed a solution. 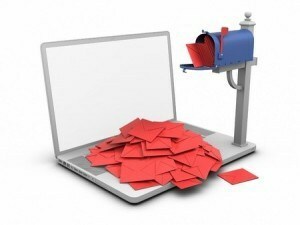 I first heard about virtual mailbox services and Earth Class Mail from a magazine article I once read. After having the water cutoff one time because I neglected to pay the bill, (basically I didn’t see the bill) I decided to give a virtual mailbox a try and signed up for Earth Class Mail. The sign-up process for Earth Class Mail is fairly straightforward, all I had to do was sign up on their website, give them my credit card information and choose the address I wanted to use. At first I chose a PO Box in Atlanta for my address. They then assigned me a personal mailbox number (PMB) and asked me to sign a postal consent form so they could receive my mail. This is a United States Post Office requirement. Once they received my signed postal consent form, I could start giving out my new address to the people and companies who send important mail to me. When I receive mail at my Earth Class Mail address, Earth Class Mail scans an image of the front and back of the envelope and sends me an email with this image attached. I then log into my account on the Earth Class Mail website and I can choose whether or not to ask them to open it and scan the contents to me, forward it to me at my current location or choose a disposition of the mail. If I choose to have them open the mail and scan it, then approximately 24 hours later I will receive another email notification from Earth Class Mail saying that the scan is complete. I then log back into their website and either view or download the PDF file of the mail that I received, read it and if it’s a bill I would pay it using online banking. Earth Class Mail charges for mail storage after approximately 30 days. So is important you choose one of the three types of mail disposition once you have downloaded the PDF copy of your mail. The three dispositions are: forward to an address, recycle and shred. Most of the time I choose to shred my mail. I do this because I believe shredding your mail is more secure. The only time I use recycle is when it’s a piece of junk mail or a magazine that I don’t want. When I choose to have a piece of mail forwarded to me, I usually have it forwarded to the hotel I’m currently staying at. Earth Class Mail offers several mail forwarding service options from overnight mail to plain old snail mail. They will even forward my mail to an international address also. One thing I did find with Earth Class Mail was using the standard PO boxes. As stated earlier my first address was in Atlanta where Earth Class Mail does not have a physical location. Mail would be received at the Atlanta PO Box, and then twice a week that mail would be forwarded to one of Earth class Mail’s processing facilities in another part of the country, in my case Denver Colorado. I found this added approximately an extra week to me receiving my mail after it was sent. For me, this was a little too long, so I called and spoke to the customer service department and they advised me that I should change to one of the premium PO boxes for an extra two dollars a month. I did this and found the extra two dollars a month to be money well spent. The day mail is received at my premium PO Box; I receive a notification that I have mail. I find using Earth Class Mail to receive my incoming mail is a huge time-saver. I’m no longer looking for mail at home, missing important pieces of mail, and the bills which coming through the mail are paid on time. Furthermore, since Earth Class Mail scan my mail into a PDF file this saves me time too in filing documents into my Electronic Filing Cabinet. Before I used Earth class Mail, I would scan each piece of mail myself before filing. Earth Class Mail offers other services for my mail also such as check deposit. I have used this service a couple of times now when I’ve been out of the country and needed to deposit a large check into one of my business accounts. Earth Class Mail also offers physical addresses in addition to PO boxes for those wishing to receive packages from UPS and Federal Express as well as regular mail. For anyone who wishes to work smart and travel, a virtual mailbox such as Earth Class Mail is the way to go. Using a virtual mailbox such as Earth Class Mail allows me to stay on top of my personal affairs, pay my bills and keep up with personal correspondence while on the road away from home. Thanks for the review, Colin. I’m curious, since you’ve been using EarthClassMail since July 2014, have you noticed any change in service since they filed for bankruptcy in early 2015? Despite the bankruptcy I think that ECM is still a great option, but I’m curious as to your experience since I wasn’t using them like you were. Hi Josh, Thank you for visiting my site. EMC are now under new management and their prices have gone up, way up! They told me that I’m grandfathered in but the past has shown that any company who grandfathers you on a price plan sooner or later want to get you out. Their new management appear to be aiming not to the individual traveler like you and I but to the corporate sector. Bottom like, they have become very expensive! I’ve just moved to the TraveligMailBox.com and part of my discussion was based on your article. Good article and website by the way! I going to be writing about my change and the best way to change virtual mail box services. I’ve been with the TravelingMailBox.com 5 weeks now and I’m very happy. Their service is much faster than ECM and they don’t nickle and dime on the options such as color scanning and shredding. Thank you for the comment on my site and please feel free to keep in touch.